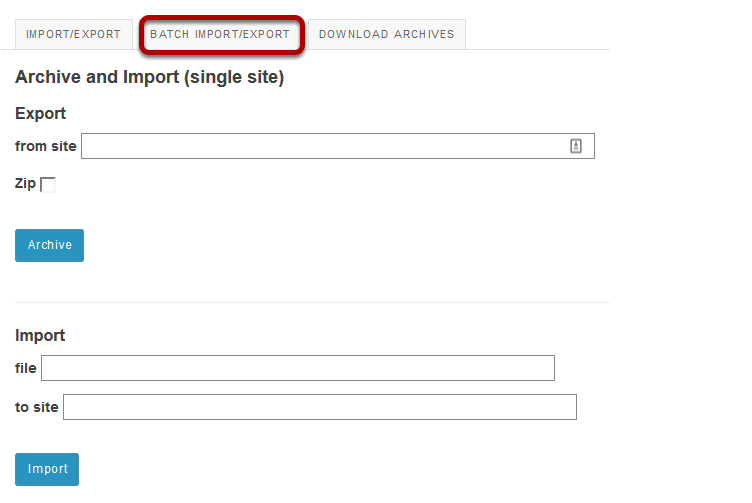 Sakai Community DocumentationSakai 11 - EnglishSakai 11 Administrator Guide Site ArchiveHow do I batch export or archive multiple sites? Select a term from the drop-down menu. 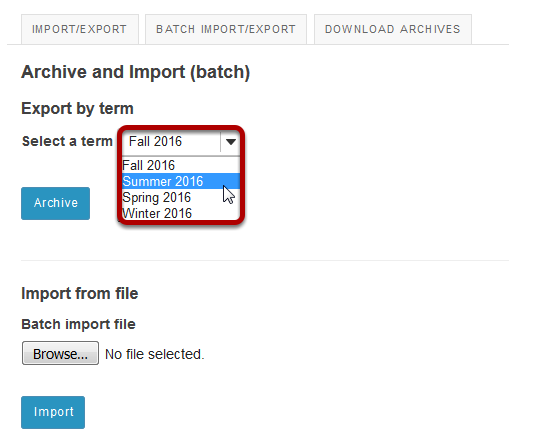 The term drop-down menu will be populated with the existing terms in your instance of Sakai. 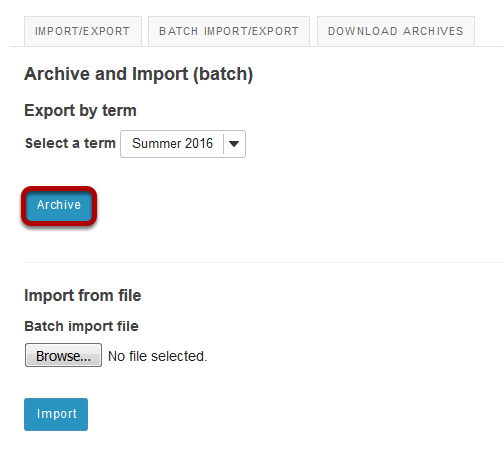 Click on the term you wish to archive to select it. Confirm the list of sites to be archived. You will see a list of all sites from the selected term. If this list is correct, click Archive these sites to create the site archives. You will see a progress indicator as site archives are created. Zoom: You will see a progress indicator as site archives are created. Note: Depending on the number and size of the sites you have selected for archiving, this process may take a while. Prev: How do I export/archive an individual site? Next: How do I download archive files?